ASIA/TURKEY - Turkish institute of history prepares 25 volumes to refute allegations on "Armenian genocide"
Ankara (Agenzia Fides) - A committee of experts from the Turkish institute of history sponsored the research work of its members in historical archives and libraries in the United States, Russia, Germany and the United Kingdom in order to analyze thousands of historical sources, with the intention of publishing the results of such research in a series of 25 volumes aimed at refuting the accusations made against Turkey concerning the so-called Armenian Genocide. An official of the Institute - as reported by national press bodies like Akşam - reported that historical research in the various countries focused on original documents dating back to the years 1900 to 1915 found in the archives and libraries of different Countries. 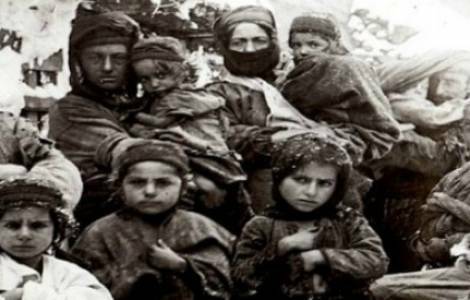 From this research, according to the institute's spokesman, what emerged was that some documents were manipulated to accredit the responsibilities of the Turkish leadership in the planning of the anti-Armenian massacres perpetrated in the Anatolian Peninsula in 1915. The official also called into question the responsibilities of Armenian formations in violent actions carried out in those years against the Turkish population. EUROPE/FRANCE - France will establish the "National Day of Commemoration of the Armenian Genocide"
AMERICA/DOMINICAN REPUBLIC - After 525 years, faith must always be "announced with courage and lived with love"